Norbert gained a Diploma in Economics & Marketing in Switzerland and then started his career as a product manager in an electronics company. He subsequently joined 3M as a Country Manager in Eastern Europe before becoming CEO of an SME in the chemicals sector. 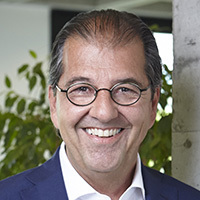 In 1990, Norbert embarked on a 25-year career as an independent consultant in Change Management. Then, in 2015, he joined Emerell, where he is now Head of Branding & Communication and Executive Manger Global Markets. What does tolling mean in the context of technical chemistry? Why is tolling not yet common practice in technical chemistry? Why is tolling in technical chemistry not yet established as part of the value chain?